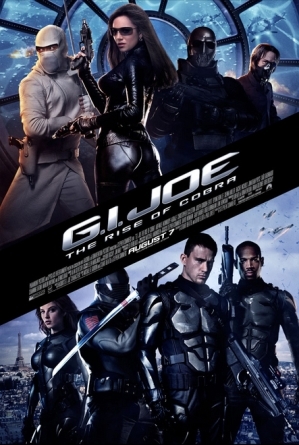 Once upon a time, action movies were gloriously overblown romps of bullet-ridden testosterone. Action stars unapologetically careened around cities with the tiniest amount of legality to their actions–just barely enough to justify their immortal status as good guys. They fought villains who were bad just for the sake of being bad, and needed no justification for their misdeeds and wrongdoings. No moral grey areas existed in this golden age of action movies, which we will one day tell our kids about with the same glint in our eyes that my dad now possesses when he speaks of The Good Old Days. Heroes were heroes, bad guys were bad guys, and you left the theater rooting for the chiseled machismo on display before your very eyes. 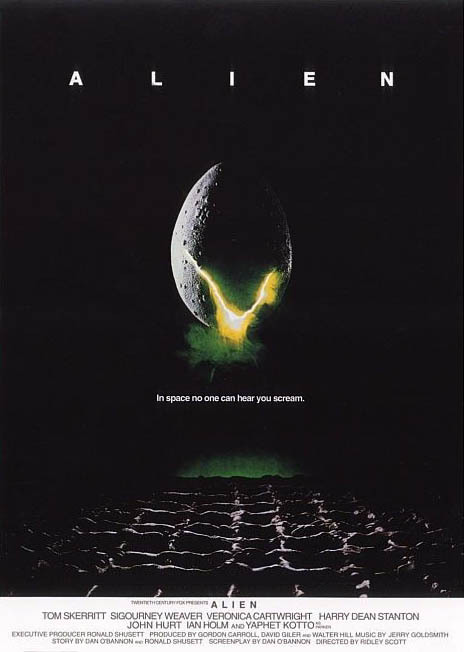 Sadly, this gilded age of dude-centric cinema faded out in the late 1980s and has yet to be brought back, despite attempts like Live Free or Die Hard and The Expendables. Maybe it’s political correctness, maybe it’s technology (action stars just aren’t as cool when toting iPhones and netbooks), or maybe it’s just a cultural shift that no longer idolizes larger-than-life movie stars. 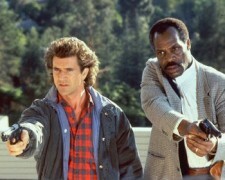 But watching movies like Lethal Weapon 2 sure makes me pine for those days. The good old days. There’s no subtlety in Richard Donner’s follow-up to his 1987 barn burner, the original Lethal Weapon. And that’s a good thing. For any kids who think Mel Gibson is off his rocker nowadays, here’s a news flash: some of us have known for decades. In Lethal Weapon 2 Mel Gibson plays Martin Riggs, an iconic coyboy cop: he’s crazy, unpredictable, off his rocker, and never follows the rules. He gets chewed out by his police captain, but such conceps like regulations and procedures mean nothing to Riggs. He does what he wants, chases (and gets) the girls, and shoots (many times) first and asks questions later. Balancing him out is straight-laced cop Roger Murtaugh, played by Danny Glover at his bewildered best. Many people don't know it, but the real lethal weapon in the movie is Mel Gibson's mullet. Together the two of them must solve an international caper that gets personal when the bad guys start taking out cops around the city. The details aren’t really important–something about money laundering and South African smuggling–as the film is really just a means to showcase one of the best mismatched duos in movie history. Martin and Riggs are the perfect pair of cops, and Gibson and Glover are the perfect actors to play them. Joining the team for this second go-round is Joe Pesci at his greasy, fast-talking slimeball best, but his character is often just too annoying and distracting. Still, his Leo Getz character does have a certain charm that kind of grown endearing by the end. 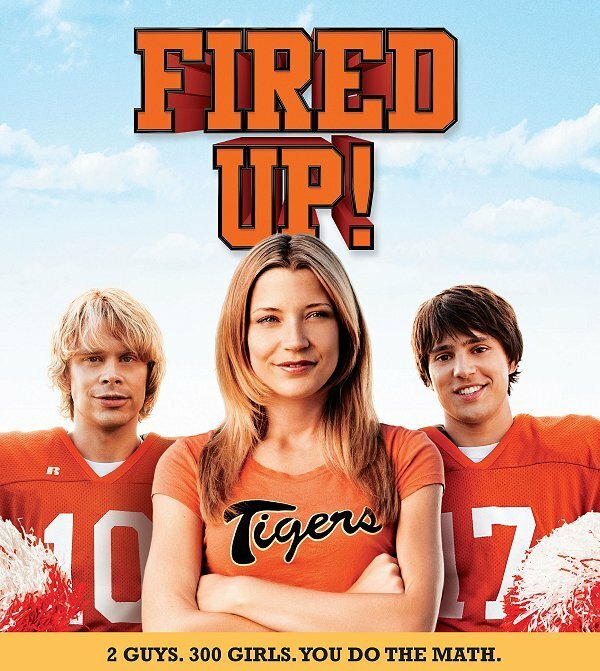 The movie starts with an entirely implausible car chase through the Los Angeles, and things only ramp up from there to the point of bordering on self-parody. It’s the first of several increasingly ridiculous car chases sandwiched between exploding houses, exploding swimming pools (oh yes) and exploding toilets (you better believe it). One-liners rack up like the body count, but this was 1989–a time when a hero could shoot a couple bad guys with a nail gun, followed by a quip like “Nailed ’em,” and get away with it. Of course there’s a “romance” too, just to keep the ladies interested, but it’s not so much a romance as it is sheer conquest. At times it’s almost comical to see Gibson careening down city streets clad in tight jeans and cowboy boots, or standing atop a bullet-riddled trailer home while spraying bullets from an M-16. The whole spectacle just screams action movie but it does so with such unapologetic gusto that you can’t help but watch in awe. Perhaps best of all, though, is the total lack of any CGI or digital trickery here. When Dwayne Johnson takes out bad guys in movies like Faster you can practically smell the pixels. But in Lethal Weapon 2, when cars crash and buildings explode there’s a palpable sense of reality knowing that something, even if it was just a model, really did meet a fiery end in order to get the shot filmed. Maybe I’m waxing a bit nostalgic here, but watching Lethal Weapon is an astounding guilty pleasure. 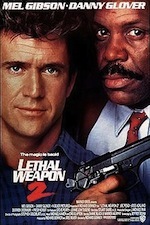 And I could be a tad jaded in my old age, having turned the big three-oh last year, but when I watch action movies today I think about films of yesteryear like Lethal Weapon 2 and think how they just don’t make ’em like they used to.